Valley, Nebraska is a hidden gem of small town charm in Western Douglas County. Peacefully nestled between the Platte and Elkhorn rivers, just minutes west of Omaha. The Valley 7 Lakes Marathon was established to highlight the natural beauty of the community of Valley. In the process, we have found claim and fame as the “Flattest Closed Road Marathon in the World.” Our total elevation gain of only 21 feet is enough to draw national interest. It is the seven deep freshwater lake developments that will make your tour of Valley and Western Douglas County a run to remember! Our event management staff has worked closely with civic and residential communities to ensure a one of a kind marathon, half marathon, and marathon relay. The City of Valley will open its arms to runners from all over the United States and the world, Saturday April 27, 2019. We invite you to join us and run the race of your life! This entry was posted in Uncategorized on April 27, 2018 by runguru. Atlanta will host our most talented Nebraska marathoners for the 2020 Olympic Trials Marathon. February 29, 2020 is the date. Start planning your competitive schedules and be sure to include your Very Best Opportunity to qualify. The event is working on the “American Challenge” which will reward US athletes for achieving the “A” standard (2:15:00, 2:37:00) or “B” standard (2:19:00, 2:45:00). Training stipends along with overall prize purse should draw a deep national field for both men and women. An unparalleled commitment to U.S. athletes will be a hallmark of the race. Something that has been so very dear to me for the last 20+ years. Support for our U.S. athletes won’t end there. Plans are to revive the USA Marathon Road Relay National Championships for 2020. 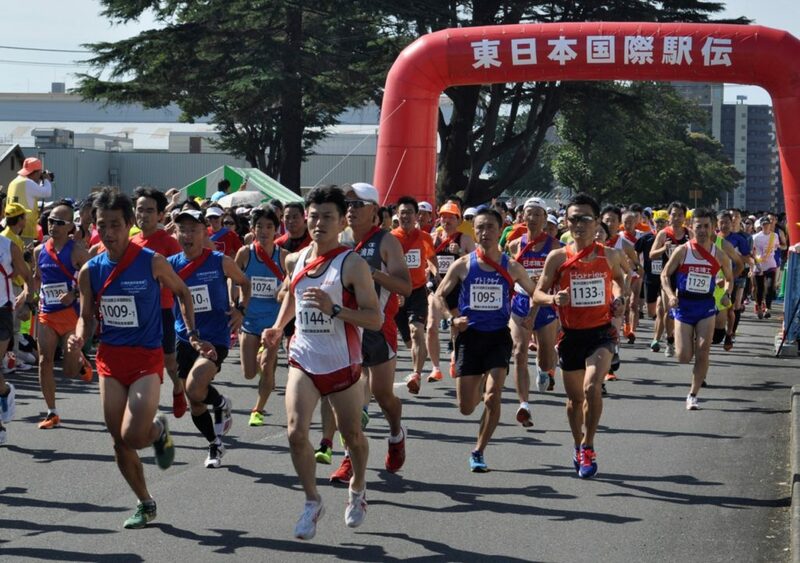 According to Race Director Tristan Nelson the tour around the 7 lakes will have the 5K, 15K, 20K and 30K points certified in order to host the Ekiden style (5K, 10K, 5K, 10K, 12K) relay. Bringing the Tasuki to Valley, Nebraska! Congratulations to Zach Zarda of the Kansas City Smoke. He popped a very fine 13:43.73 5000 meters on the track at the Mt. Sac Relays last weekend. 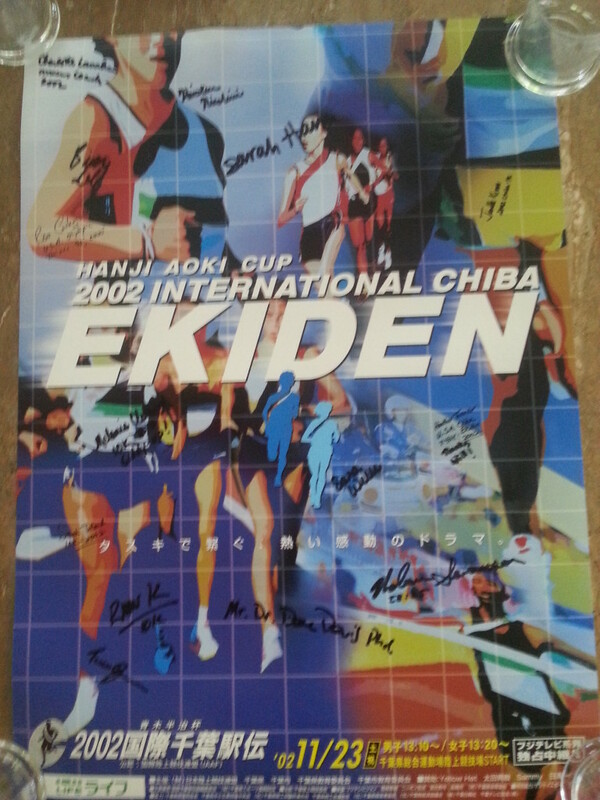 The Ekiden is the national sport in Japan. My trips to Japan (Chiba, 2002 and Yokohama, 2006) leaving an indelible impression. Instead of a baton runners wear and pass a sash called a Tasuki. This entry was posted in Uncategorized on April 26, 2018 by runguru. Our Nebraska USATF LDR Program is celebrating its 16th year. Think about that for a moment. Where were you in 2002? I’d wager some of you were still in middle and high school. One of the most important aspects of this blog is that it provides a historical record. For all those that played and are playing their part. USATF. Not RRCA. Not WECRAWL. Please don’t ever confuse or combine the programs. Nebraska USATF LDR endures. There have been tremendous highs and necessary lulls. Hundreds and hundreds of athletes have been served. There are athletes whose contributions and performances must never be forgotten. Their contributions to the fabric the very stitching that keeps our sundry kits together. They all wore Red & White for the first 8 years. I’ll forever wonder why there were no post collegiate club opportunities for our Nebraska athletes before 2002. There were athletes to be sure. Roxi Erickson was selected for a USA World Championships Marathon team. Mary Amen and Nancy Stanley of Lincoln worked with me in the Association Athlete Development Program in the late 1990s. They just had no one to advocate and organize for them as a unit. Why all this old hash on your breakfast plate? One of the items I have proposed for our upcoming USATF Nebraska LDR meeting is the establishment of a Hall of Fame. USATF membership and excellence the two mandatory requirements. Or making an Olympic Trials or World Championships prior to 2002, both of those requiring membership in our national governing body. Think about your own list of nominees. Who represents USATF excellence at the highest levels? I’ve got a few names written down. Those from 2002 through 2012. I’ve another list of athletes that I am hopeful will make the breakthrough, rise to the very top of USATF Nebraska LDR. This entry was posted in Uncategorized on April 24, 2018 by runguru. The hardest week of the year for Real Marathoners. And Coaches. Just what makes it so hard? For the Boston/London/Paris marathoners there is tremendous temptation to hop into another marathon right away. You worked 16-20 weeks getting by golly fit and for sure you are champing at the bit. I was interested but dismayed by the story of 2018 Boston winner Yuki Kawauchi. Interested because he is a singular athlete, able to run 10-12 marathons a year at a World Class level. He’s an outlier, a one off. Dismayed because of the message that sends. Look, like it or not you only have 2 quality marathons a year in your legs. Unless you are blessed like Yuki. But the marathon accepts all attempts. Cares not for training cycles, coaches, or kits. It simply is. This is only one of the significant departures I’ve noticed in the world of marathoning over the last quarter century. The trade off. The sacrifice of peak performance for whatever else there might be in the marathon (somebody throw me a line and tell me what that other else is, please!) Peak performance that can only come through science of high level training. I try and understand why anyone would run a marathon and not make it the pursuit of a lifetime, a personal best effort. I won’t say “right” or “wrong”, it simply is. Would you trade a dozen (a hundred?) 3:01 marathons for a sub 3? Would you trade a dozen 2:30s for a 2:29? Would you trade a resume full of 2:20s for a single 2:19? Would you trade all of your 4 hour plus efforts for a single 3:59. Likely a generational question with generational responses. I ran 2:47:09 in 1983, my personal best 2:46:56 in 1995. Almost thirteen years chasing an arbitrary number. An effort and journey that I’ll forever cherish. I gave the marathon everything. Two solid efforts a year with only a singular goal. How I wish it was 2:45! Listen to the science. Listen to the experts. Listen to the coach. But only if such things really matter to you. This entry was posted in Uncategorized on April 23, 2018 by runguru. This column has attempted to bring straight talk about running. I’m shifting to summer hours with today’s column. Still banging the keys but focused now more on all the good living things that make up our garden. Thanks for still checking in occasionally. I’m hoping Shatel is right. Giving Darrell Crain some straight talk on a start line in Houston. Twenty five years later and I’ve still got a lot to say. This entry was posted in Uncategorized on April 19, 2018 by runguru. Sitting with the Hansons Training group in the auditorium of St. Louis University in 2003. Just prior to the start of the USA Women’s Marathon National Championships. Keith and Kevin introduced me to Desiree Davila. She had been accepted into the group and there were those in the running community that wondered how/why. Less than stellar collegiate credentials but a tough as nails competitor. I’ve had the pleasure of cheering for Desi for the last 15 years. Never louder than yesterday. 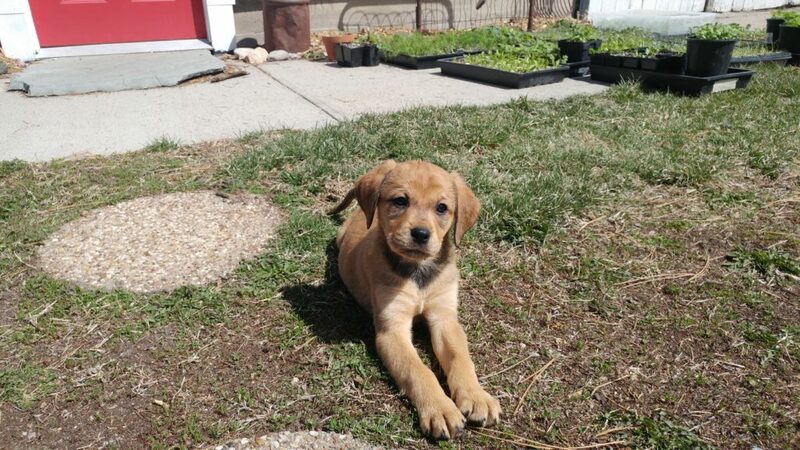 Linda and I were headed to Raymond, NE to pick out our new pup yesterday when naming came up. Boston was the safe choice but we decided if an American woman won it would be in her honor. We both wanted Desi. Shalane or Molly would have been good but Desi was perfect. We watched with pride as our Run Guru Elite athletes battled the worst weather in 30 years. Nicole Norris (3:14:29) was 2nd Nebraska Female (Karissa Stack, unattached, 3:00:32). Jackie Freeman (3:47:24) defied all obstacles en route to a memorable finish. Cameron Cummings 2:47 keeping his Boston streak alive. Run Guru Elite with 3 finishers, Giddyup! Top Nebraska fella, Cory Logsdon’s 2:39:27. The Boston Marathon. America’s Marathon. The Marathon. We got our Jedediah three weeks before the 2013 Boston Marathon. Named him “Jedediah Strong”, the latter to become forever intertwined with the Marathon. Only fitting that our new addition to the family is named “Desiree Strong”. Anatolian Shepherd/Lab mix. Seven weeks old, we look forward to many years and miles with her. This entry was posted in Uncategorized on April 17, 2018 by runguru. Thanks to everyone for coming out and braving the elements! 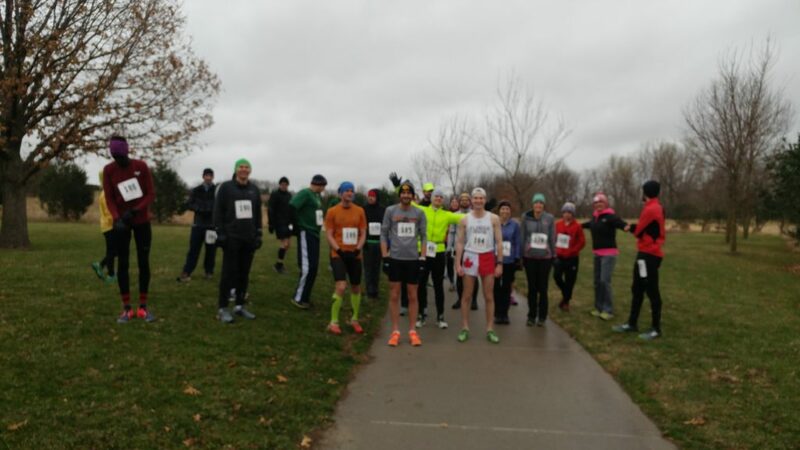 Hope you enjoyed our new 8K course and the fellowship of our trail running community! 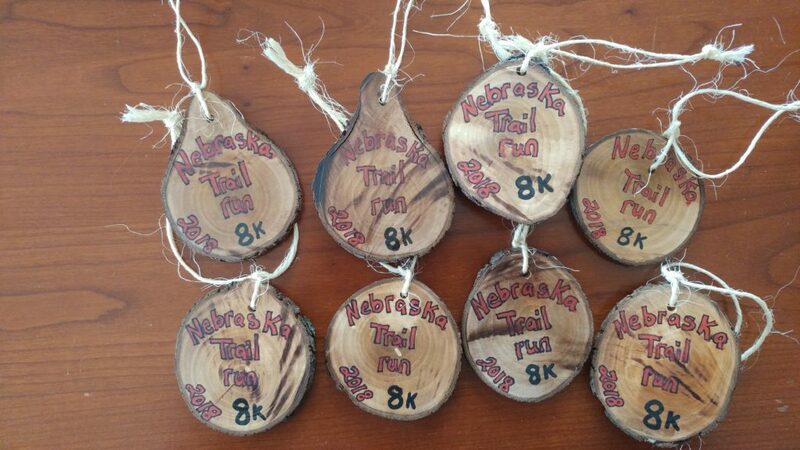 Thanks for checking back, we’ll be adding photos here and at our Nebraska Trail Run facebook page as they come in. This entry was posted in Uncategorized on April 14, 2018 by runguru. Or, the best Bar None. The Quad County Fava, Lima, And Garbanzo (FLAG) growers association has recognized our efforts with the Golden Legume Award Designation (GLAD). Of course this is purely fictional. What is real is that we continue to make a name for ourselves as the only completely chemical free market garden in the Omaha Metro. We will be introducing our new intern to the operation this morning. All our balls and pins in the air this week. 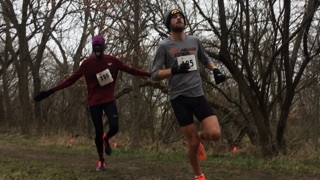 Juggling Saturday’s Nebraska Trail Run, planting season and Valley 7 Lakes Marathon. Deftly moving between each, all with one hand tied behind my back. This will be the best Trail Run in its 12 year history. Our market product simply the best. The 7 Lakes Marathon (brought to you by the City of Valley and Mayor Carroll Smith) will be the best marathon in Nebraska. This entry was posted in Uncategorized on April 11, 2018 by runguru. I’ve danced with you for the last 35 years. Loved you deeply. Gave everything to you. You’ve been fickle with my affections. Always so full of promises. Toyed with me as I lay broken. Laughed at my tears. Its been worth it. That one magical morning we tripped the light fantastic, now 23 years ago. That agreement, or intersection, or mere fate. 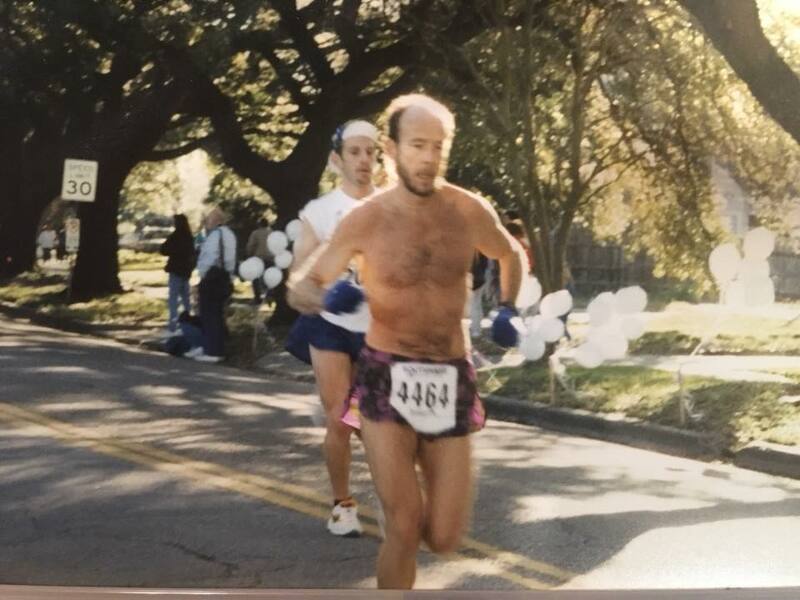 The grace and beauty and life time memory of the 1995 Houston Marathon. 2:46:56. My marathon days far past, one of the real joys now coaching others to their own dance with destiny. You set a date, pick the venue. Get all gussied up in your best fitness finery. You’ve never looked or felt better. You eagerly anticipate the day. Every detail planned, butterflies bearing you on gossamer wings of anticipation. The week before the big day. Dreams are dashed. Character defining moment. How to reconcile supreme fitness with the tiniest of tendons. My guess is that the vast majority of you readers consider yourself marathoners. This scribe’s ultimate test of running/racing, litmus for Real Runners. 87.5% effort for 40K, 90% the last 2K. As marathoners you’ve all had your own dance. You have your personal records and your stories of disappointment. I’ve been coaching Nicole and Jackie to their Boston effort. Both have done a tremendous amount of work. Less than a week away Nicole is peaked (No Taper!) for her run at sub 3. Jackie, made it through all her workouts, fit as a fiddle, addressing a recent strain. Still ready to go, that fine razor’s edge of the marathon awaits. The Marathon. Bestower of Honesty. Provider of Potential. Seductive. Temptress. 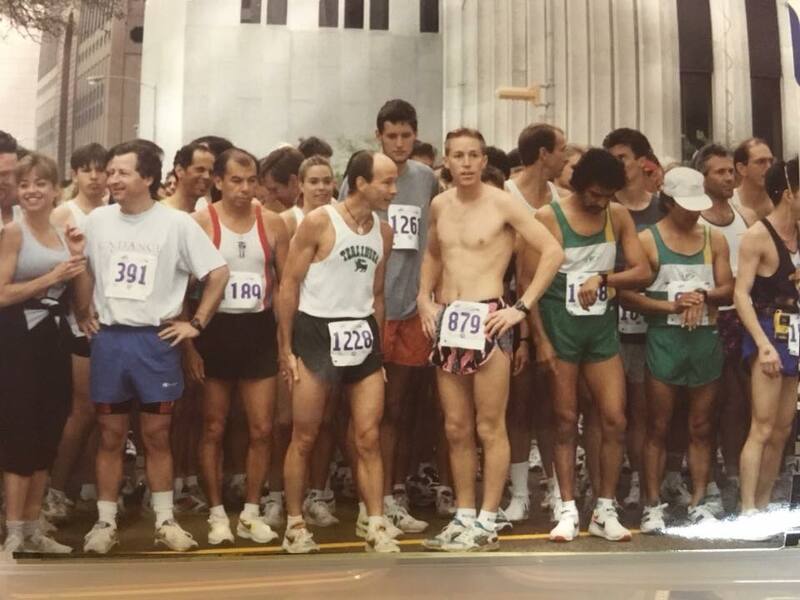 The 1995 Houston Marathon. Executed to my personal potential perfection. 8 consecutive 5Ks at 19:52-19:57 and wings on my feet for the last 2K. The dance that I will never forget, the day the lady let me lead. post script: Grandma’s 2012 was my last marathon effort. On April 10 of that year I had reached 1009 miles of training. This morning I sit at 201 miles for 2018. This entry was posted in Uncategorized on April 10, 2018 by runguru.